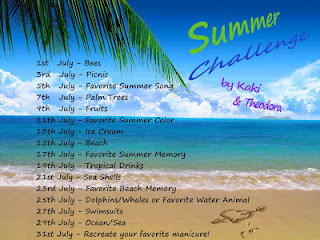 I did a watermelon on my pinky for the picnic challenge and loved it. It used Zoya Zuza for the rind and the color was fabulous. I decided to give myself a break and do something traditional. 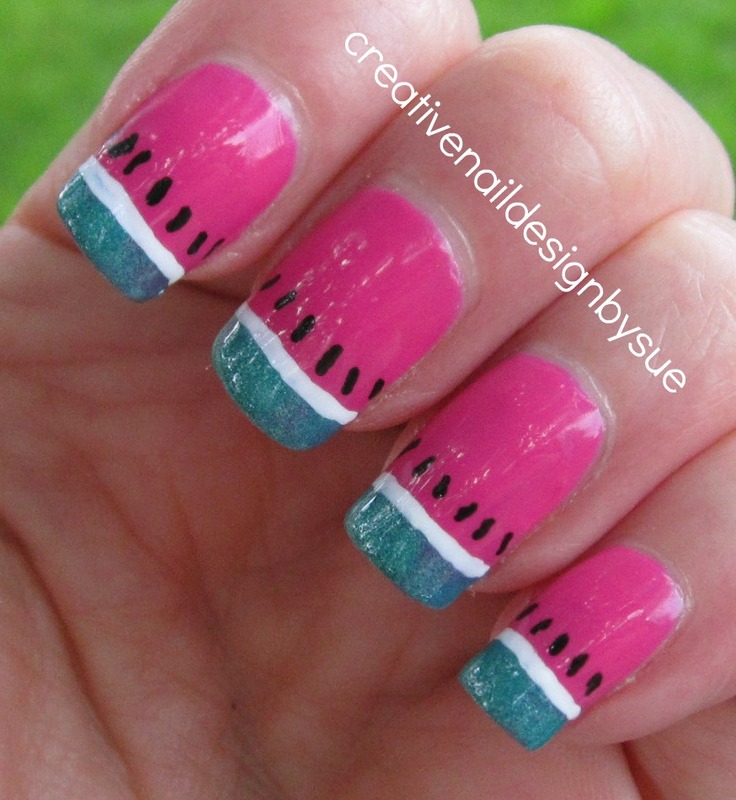 Love watermelon. I know Zuza isn't really rind color but I love any excuse I can find to use it. Of course, I will regret it when the bottle is empty. This looks fabulous! 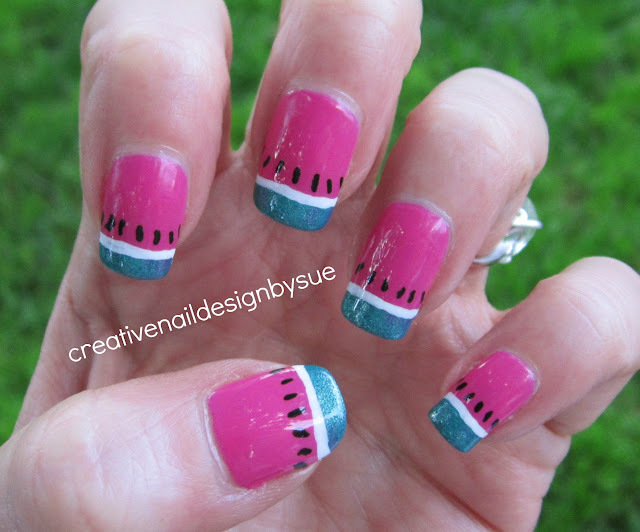 I love watermelon nail art this summer! So cute! I love zuza too, I have it on my toes right now and it is so pretty! Love it. Zuzu was a great choice, and I laughed when you said you find any excuse to wear it. I def had feel ya on that one! yours turned out so well! !